French hook style earrings have a tendency to accidentally slip out. 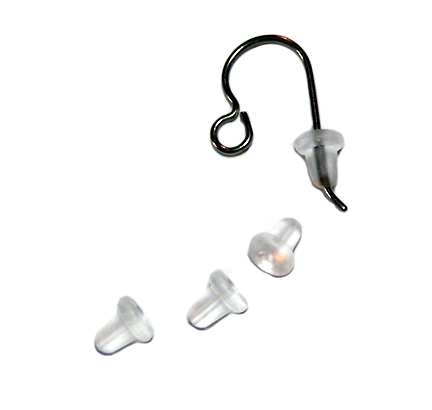 This can be avoided with these hypoallergenic rubber earnuts. These earnuts can also be used as hypoallergenic replacement clutches for post earrings.